A similar error is shown below from the Services Manager when starting SQL Server fails to start with error code 3414. As mentioned earlier, there are several reasons that could be the root cause for this error. Until the error is resolved you will be restricted in working with the database. In order to resolve issue, you need to examine the error preceding this error in the ERRORLOG or Event Log to determine the underlying issue. In majority of cases, the database is set to ‘Suspect’ mode and may incur additional errors on further usage. The Error message 926 usually appears on your screen when you try to access the SQL database marked as ‘Suspect’. How to Resolve the SQL Server Error 3414? There are 3 ways of rectifying this error code 3414 when the database recovery fails. The chart below shows what options are available to help resolve this issue. The most recommended option is restoring from a good known backup. The database curator needs to utilize the most current backup file for restoring the suspect database. To learn more about restoring a backup for a suspect SQL database, click this link. This set of commands would put the database in ethe mergency state. Perform an integrity and consistency check on the database. The check would recommend the minimal repair level. Set database to single user to allow repair. Once the repair is complete, set database back to multi-user to allow connections. 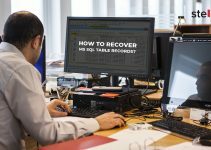 Finally, if you find yourself in the worst-case scenario where all the above solutions did not work out, then the Stellar Repair for MS SQL software can help you perform a SQL error 3414 repairs. The software has dedicated and easy-to-use mechanism to effectively repair corrupt SQL databases and safely recover all the database objects like tables, views, indexes, keys, constraints, etc. stored in the database. The renowned tool enables you to efficiently resolve error 3414 which saves you from the risk of looming data loss. The software supports all the latest SQL Server versions, from SQL Server 2017, 2016 to 7.0.